Bluetooth-enabled Logitech Mini Boombox comes with a tiny form and can be taken anywhere easily with sufficient weight, of course, supported by the ability of battery that can last a long time. 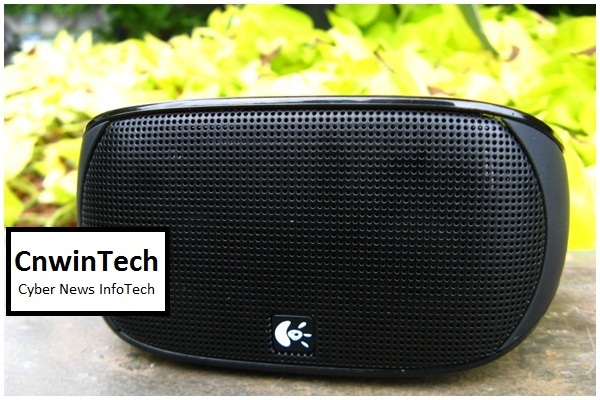 Logitech Mini Boombox design is quite simple, but nice shape because there are not many difficult users access. At the top there is a touch panel to control on / off and switching tracks, control volume, as well as bluetooth pairing keys and answering calls. 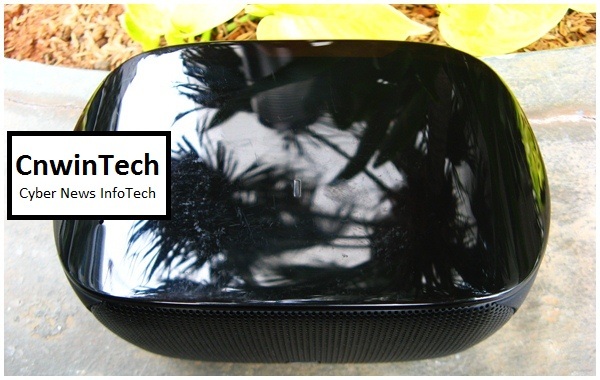 The sides Made from rubber, and net-shaped front side made from black iron with a Logitech logo which will show several colors to interact with you. On guide book, Logitech logo will blink blue when charging, solid blue when the battery is full, solid red when low battery condition, and blinking red that states the battery will soon run out of power. On the rear panel there is a button on/off for Logitech Mini Boombox, USB port for charger, and an AUX port. On the down side there are two rubber vertical lines that help Mini Boombox speakers in order to not displaced. Beginning process of its use was fairly easy and quick, CnwinTech just turn this device behind from button, and press bluetooth button on the top side for first time pairing will connect with your mobile device. Logitech logo lights on the front will illuminate flashing blue-red when bluetooth button pressed a few seconds. CnwinTech tested it with devices such as Apple iPhone 4 and iPad 2, and pairing process done briefly. Same applies to Android mobile phone or BlackBerry, even CNwinTech tried with Nokia 9300 phone which is one of older phones. On your mobile device display will appear Mini Boombox names, press for pairing process, when pop-up come, enter password ‘0000 ‘and immediately pairing successful. To further if you want to use with a same mobile device, you do not need to write down password again, and also no need to press the bluetooth button on the Mini Boombox. Simply by turning the on/off, and do the pairing with a very short time from your mobile device. But if you use other mobile devices that have never done pairing, then you have to do the process again. 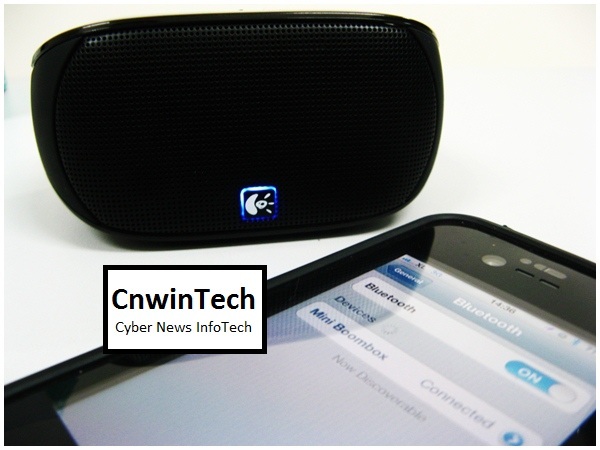 CnwinTech trying to move around with some of Apple devices, Android, and BlackBerry, when all had done pairing, can quickly turn vary, but only a device that can be actively connected with this speaker. After the pairing is successful, Logitech Mini Boombox can take over process control music from your mobile devices. You only need to press the Play button on Mini Boombox and instantly music will sound as well. Press control backward and forward panel on it, and it’s easy as well as Logitech Mini Boombox presents music, but it depends on how much you have music from your mobile devices. Music controls can be done also from your mobile device, but with ease of takeover from Logitech Mini Boombox, sounds like you do not need to be bothered by use of your mobile device. The concept, after pairing, put mobile device and not need your touch again, use all the controls from Logitech Mini Boombox. 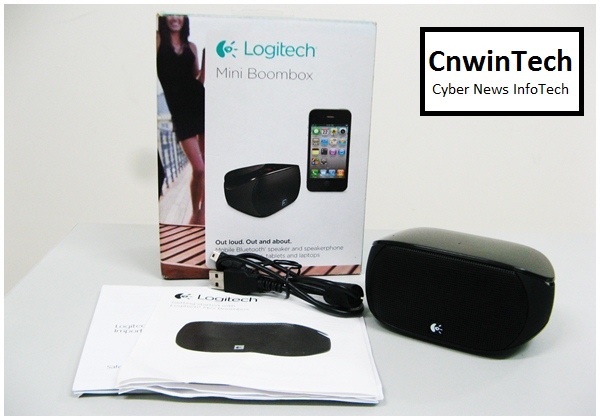 Further attempts, CnwinTech perform tests on sound produced by Logitech Mini Boombox. This is tiny Speaker form, but strains of sound produced capable to break the silence indoors, or as an accompaniment to music outdoors. CnwinTech trying to raise and lower volume from Mini Boombox, inside the room, it looks like when maximized will be able to heard such music from the room next to you, because it is very hard, and able to present a competent bass. CnwinTech try at outdoors, if the atmosphere fairly quiet, as in a public place, able to produce sound output can still be heard clearly, unless with outside environment which too noisy or too broad. The conclusion to the outside environment, are able make a sound to you and your relatives to participate in singing together. A little difficult to see the control on outdoors when blazing sun, because the backlight red lamp on a touch screen in the panel top can not be seen clearly, in contrast to indoor usage who could see clearly. In theory, Logitech Mini Boombox can last for 10 hours straight, testing was conducted gradually, not tested for non-stop usage for 10 hours, and the results are unexpected, testing done by listening to songs for hours, even while gaming activities on iPad tablet 2, seems CnwinTech never charging on Logitech Mini Boombox. Can be said gaming perform activities or listen to songs in a long time, with battery condition is full, you do not have to worry about losing the moment. 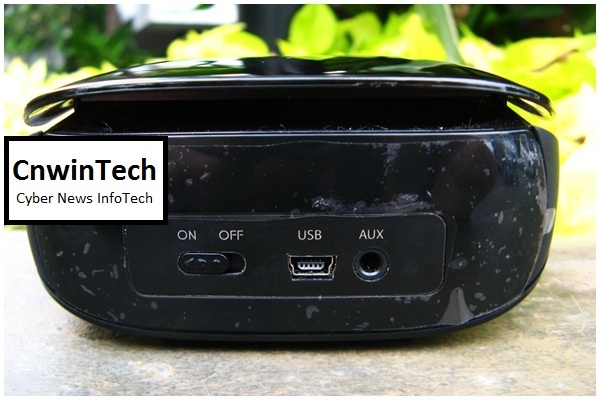 Logitech Mini Boombox provide competent performance for traveling usage. 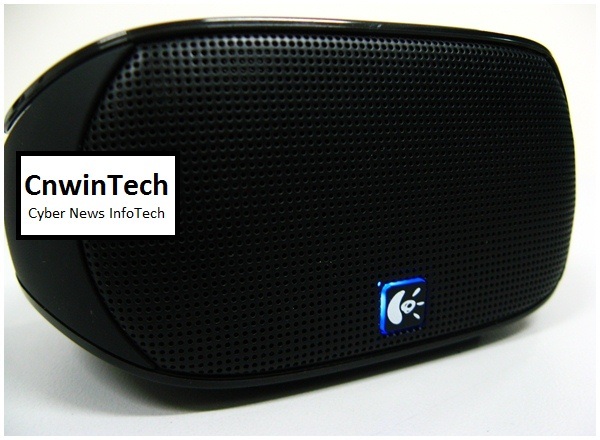 Other conveniences when Logitech Mini Boombox is connected with a smart phone devices, when you listen to music and suddenly there is a phone call, you simply press button on the upper side and can instantly converse like using a loudspeaker of your phone. After the phone call activity is completed, the music can you go back easily. This helps you if you’re currently listening to a song and your phone rings covered by loudness of music, but if it is connected with Logitech Mini Boombox that can help you not miss any incoming phone calls, because the music will automatically stop and you hear the phone ringing from Mini Boombox speaker. Logitech Mini Boombox can be a loyal friend in your daily activities, even listen to the song or as a support device while playing game from your mobile device. Bluetooth pairing can be done easily and quickly. Mini Boombox will take over the music control usage of mobile devices, which of course you must have a mobile music player. The ability of a battery that lasts for 10 hours, of course, gave qualified support. 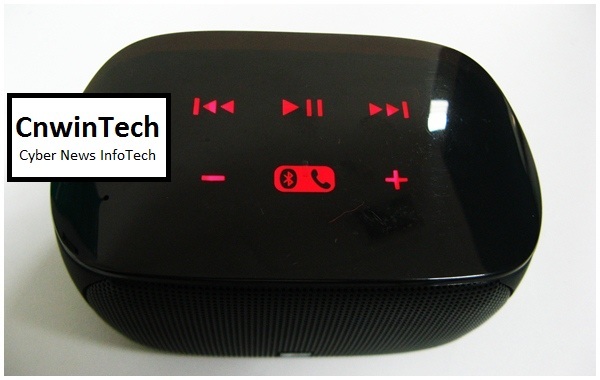 If battery in Logitech Mini Boombox will run out, lights on the Logitech logo in front side will blink red. In terms of price, a Logitech Mini Boom similarly priced Logitech z506 speakers 5.1, $99.